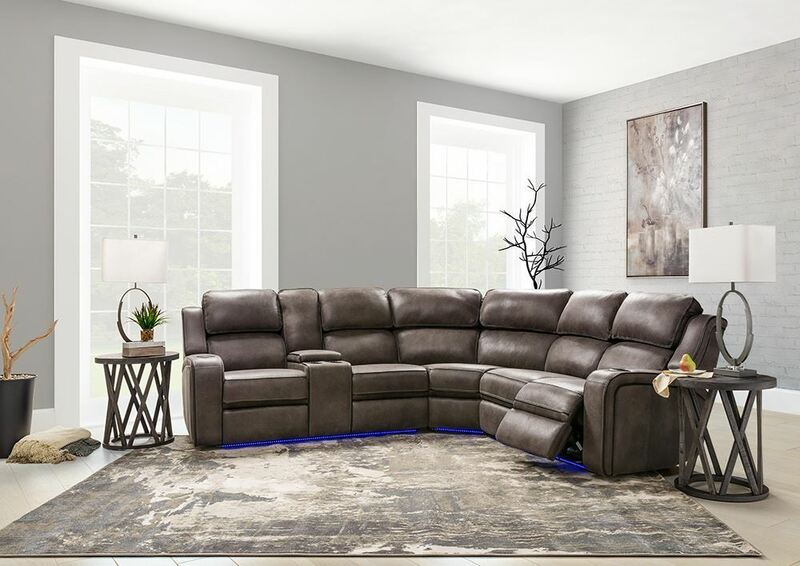 Revamp your entertainment space to a theater-like retreat with The Harris Gray Three Piece Sectional. Highlighted features include power reclining mechanism and power headrests, ensuring maximum lounging comfort for hours on end. The USB port, lighted base and accommodating cup holders make movie nights oh-so enjoyable, providing a convenient and cozy ambiance the entire family will adore. Wrapped in a gray cover, this sectional exudes that versatile aesthetic you've been seeking for your basement, living room, or family room. 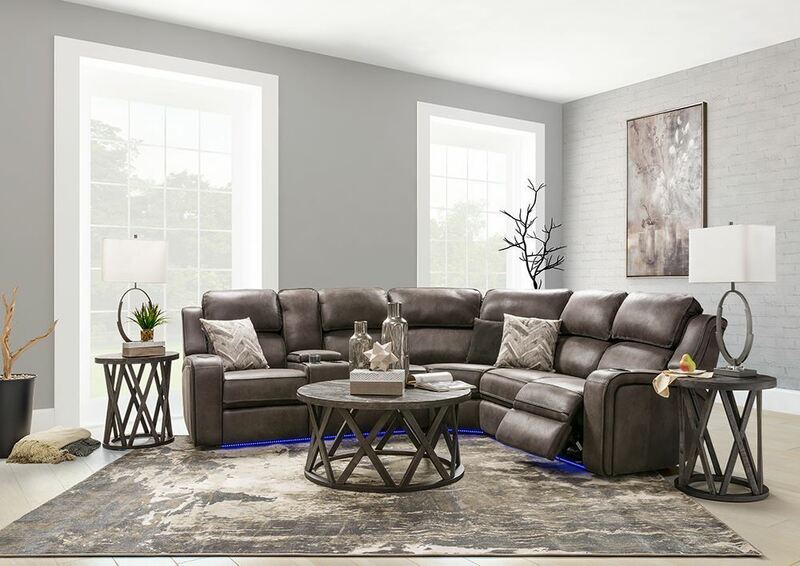 Revamp your entertainment space to a theater-like retreat with The Harris Gray Three Piece Sectional.